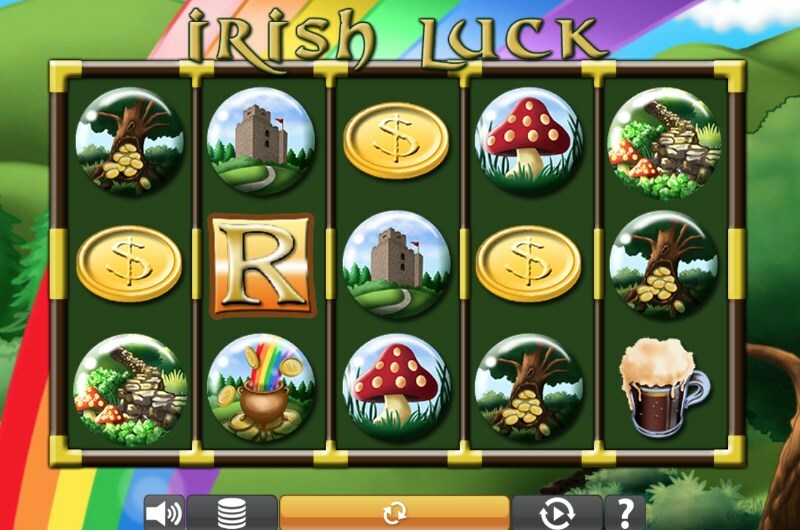 Feel the good fortune of the Irish with our latest game: Irish Luck slots. This 5x3 Eyecon slot delivers more than a pot of gold. You also get the chance to nab free spins and multiplier rewards of up to 100x your total staked bet. While the game does present a stereotypical view of Irish folklore, the portrayal is colouful and fun. And it's hard not to feel fortuitous with all of the good luck charms visible on every spin. And you certainly will feel fortunate if you activate one of the bonus elements. But what will you find peering into this pot of gold? Let's take a look. Before we go into the free spins, we should note the four-leaf clover symbol. It's known for its good luck tidings in the real world. And it's just as beneficial here. The symbol is not only wild - but it will also double any of your wins if it appears on its designated reels (2 and 4). This is especially useful during the free spins. 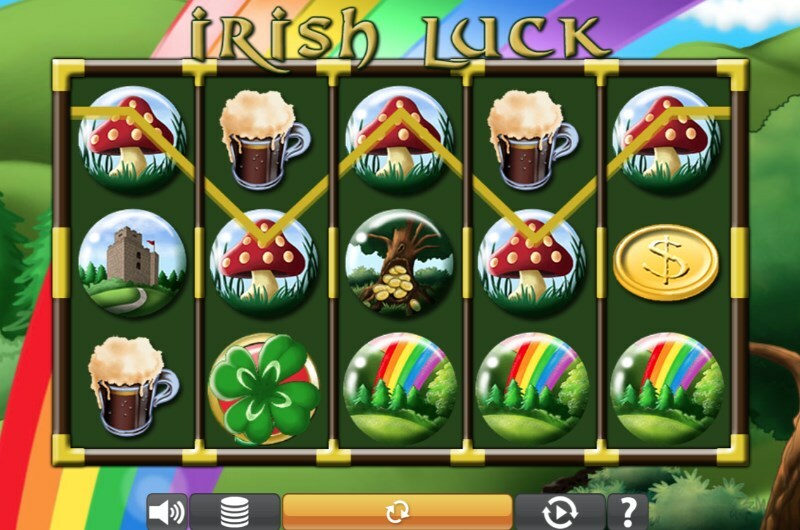 To active the main Irish Luck slots bonus, you will need to match three or more of the Leprechaun scatters. This will activate a special picking bonus. Simply pick from the Leprechauns to reveal prizes. You could reveal a 100x multiplier - or activate the 10 free spins. In an interesting twist, the slot contains two scatter symbols - the second is the Fairy. Match three or more and you will unlock a second pick bonus. This time however, you must match two symbols to collect a prize. Eyecon slots are characterised by their accessibility: it's really easy to just pick up and play one of their games. And when you play Irish Luck slots, you will master the simple controls in no time. Bets start from just 1p per line - but you can increase your stake to £2. You can also get more granular with your bets by tweaking the number of lines in play. In fact, you can knock the slot to just one line in play, which will drastically reduce the cost of a spin. For confident players, there are some advanced controls to maximise the game's potential. One of these is the autoplay, a useful setting if you wish to play Irish Luck for a long period of time. While there are no options to set stop or limits, you can play the slot automatically for 100 spins. Once you set the option, you can go off and do as you please. An Irish themed slot that rivals the giants of the genre? On the surface, this slot has all the makings of a legend. Fun bonus features and some genuinely good rewards make this an entertaining spin. You can experience the slot first hand by visiting the Pots of Gold lobby - or reading our full Irish Luck slots review.